The book is a transcript of three lectures, kept in its original colloquial style, given to the Buddhist Society. You can say: A Finger Pointing To The Moon. But to understand the point, you have to try it. On a dark night, stand and point to the moon. When you focus on your finger, it is clear and solid, but the moon is a hazy double ghost. Now focus on the moon; it becomes clear and single, but the finger is a transparent double ghost. It’s the same with spiritual practice. You do have to use the methods, and while you do, they are clear but the Goal is hazy. If you don’t use the right method but just look, you may see a clear moon, but it will probably be a reflection in a puddle. So you need the method for a good time, but then the focus must … jump! Taking up this unnoticed point, the author explains how to make the jump in focus, from clarity of holy texts to clarity of truth-realization. The book consists mainly of short pieces, often amusing but also profound. 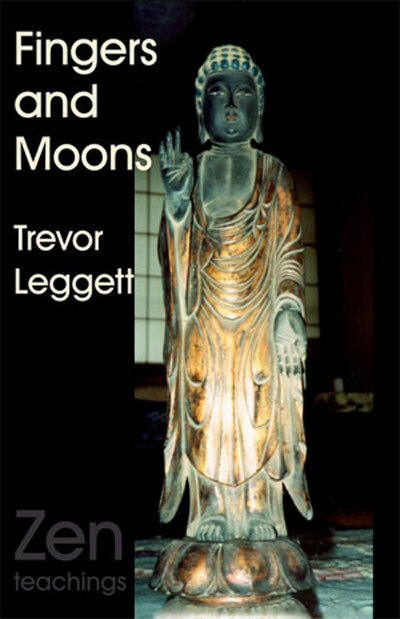 The book is a transcript of four lectures given by Trevor Leggett in 1982 and 1985; the vivid colloquial style has not been edited out. Trevor Leggett is well-known as a teacher of Judo and its Zen background, who was introduced to ‘Zen in its original Indian form’ by the late Dr. Hari Prasad Shastri…. Each talk is replete with stories, similes, and real-life incidents through which Leggett illustrates so many subtle aspects of practice and progress…. One comes back again and again to find each time something refreshingly new popping into one’s consciousness. Tellingly told by one of the masterminds among the practitioners of Zen.